Even more good news! Following on from our @smallbar_bristol #popup we will be heading to @lefthandedgiantbrewing to their tap room for a weekend in mid April 🍻 Come grab some beers, some hummus and toast away the mid-spring sun ☀️ . Friday 19th April & Saturday 20th April. Woop woop! Good news alert 🚨 after a bit of radio silence from #hummushq we are proud to announce we will be popping up for SIX WHOLE WEEKS at the @volunteertavern from late April until the beginning of June. Expect a few new snazzy creations from my chickpea-obsessed mind and a selection of the BEST from the small bar timezzz. Loads of markets coming up soon as well. Keep your peas peeled – It’s going to be great. 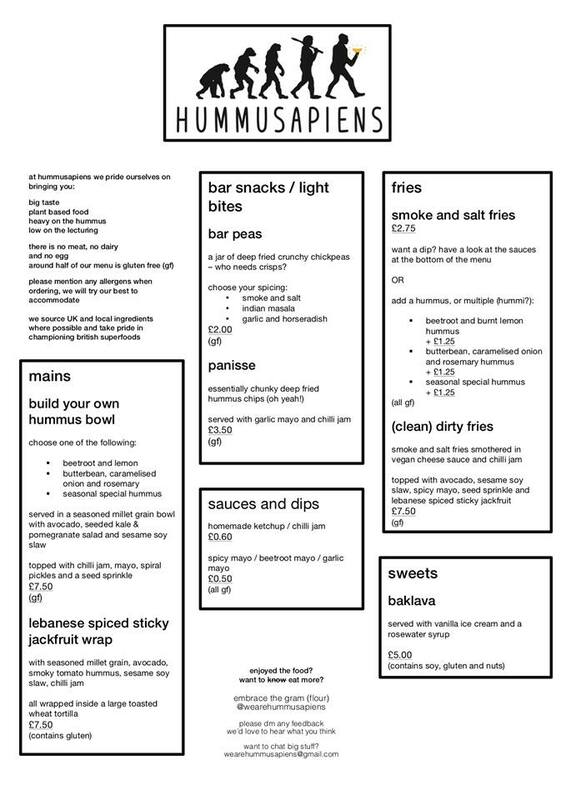 Hummusapiens exists to bring awesome food to your plate, bowl or basket. Here to make good food taste great, we are all about bringing you big taste, plant-based food that’s heavy on the hummus, low on the lecturing.